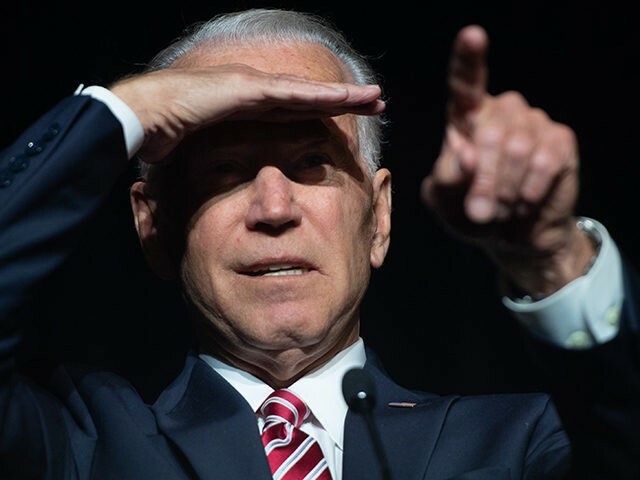 Former Vice President Joe Biden is going directly after President Donald Trump as he prepares for a possible 2020 presidential challenge. In a speech to Delaware Democrats, Biden specifically called out Trump for betraying the very substance of the country. At this point in the race, 2020 candidates spend more time talking about who they are and their own values and policies. Since Biden already enjoys a prominent name identity, he is already spending the majority of his time attacking Trump. Biden aides told CNN that he will “focus on the imperative to defeat Trump” if he runs for president. His strategy was apparent in his speech on Saturday. “The danger posed by this administration to this nation is not hypothetical or exaggerated, it is real, it is existential and many of our Republican and Independent friends know it as well,” Biden warned Democrats. Biden’s speech at the Delaware Democratic Party fundraiser made news for his blooper about already running for president, despite waiting to make an official announcement. But at its core, Biden spent most of his speech targeting Trump. Biden continued ripping Trump for “tearing down the guardrails of society” by challenging the media, the judiciary, and the legal branch of government. He warned that American Democracy was in real danger of crumbling as a result of Trump’s presidency. He accused Trump of betraying the American values of treating everyone with dignity and respect, including immigrants and the poor. Biden also accused Trump of betraying the American workers who helped elect him president by giving tax cuts to the wealthiest one percent of Americans. Biden raged against Trump’s proposed budget for hurting the middle class, cutting federal programs, and raising the federal deficit.